We supply modular slurry treatment plants to clients all over the world to support slurry shield tunnel boring machines. Our equipment is modular in design, certified by Lloyd's Register for shipment as freight containers and can be configured to suit differing ground conditions and flowrates. Our centrifuges and flocculation systems are usually included in our larger plants to keep the slurry in condition and to assist with disposal of waste slurry. Clients as far afield as Singapore, Australia, Hong Kong and New Zealand have benefitted from using our equipment. Our experience and expertise has proved invaluable in providing clients with assistance in the maintainance of their slurry qualities through challenging ground conditions and thereby allowing continuous production. 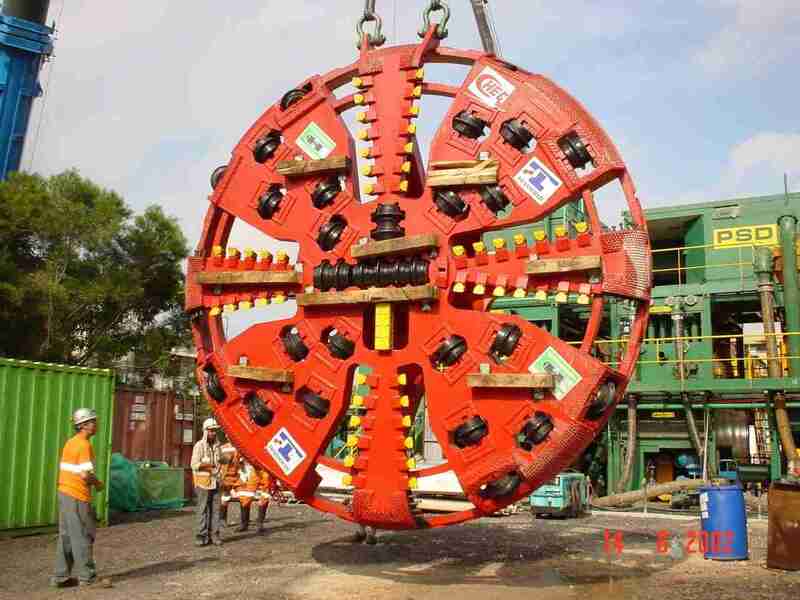 Tunnel Boring Machine just after "breaking through"